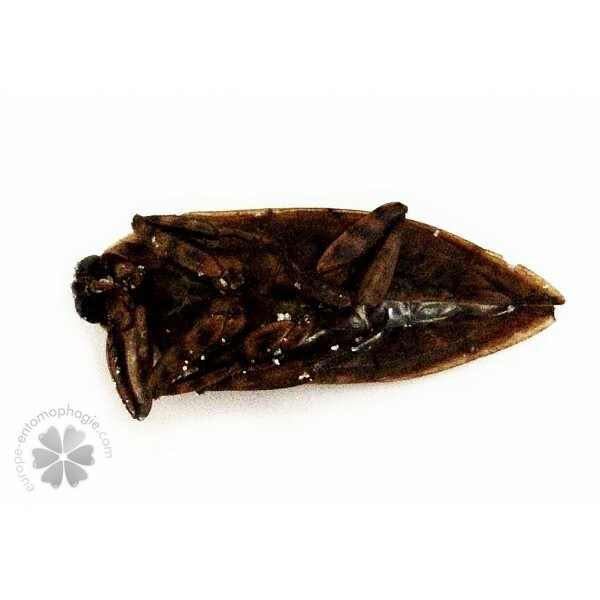 The giant water bug is the most adventurous edible insect experience. 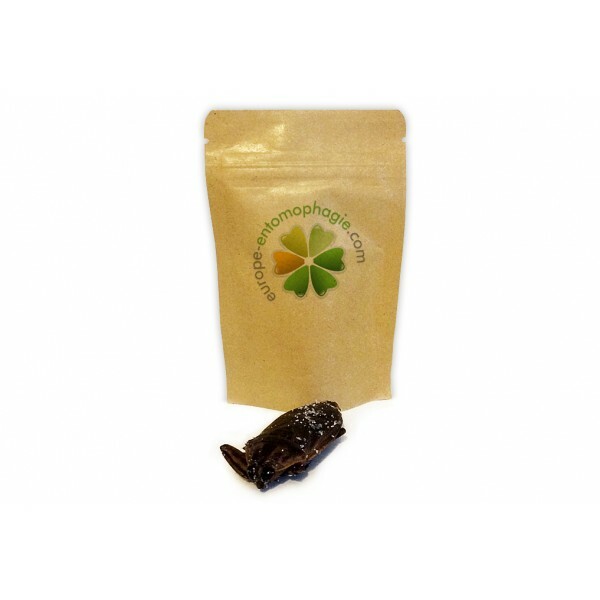 This bag contains a 10 cm-long water bug imported from Thailand. It was boiled and then dried for 6 hours in order to keep all its nutritional qualities and its taste for 8 months. 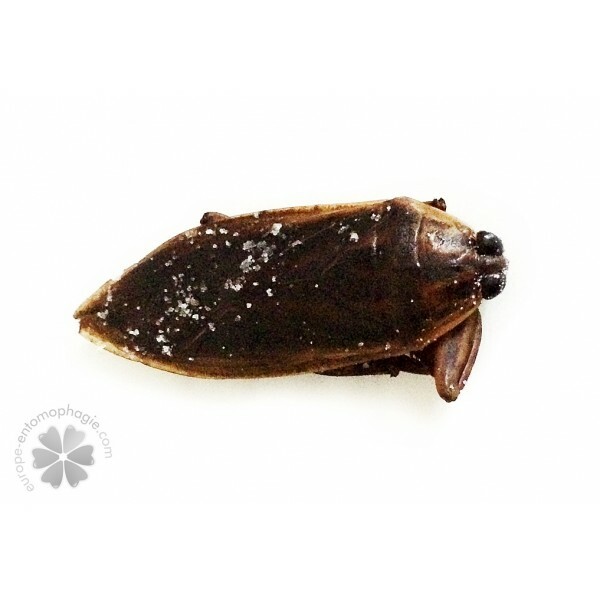 The giant water bug is an insect oval flat-bodied insect which lives in ponds and lakes. It can fly short distances thanks to its wings and feeds on small insects and other aquatic organisms. Be careful, you may your guests may get really shocked! When they will first see the impressive size of this insect (up to 10 cm), they may have a heart attack. 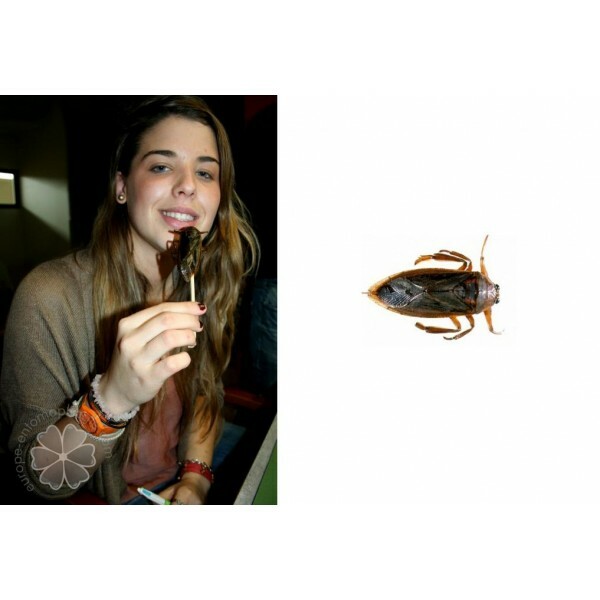 Joking aside, the water bug is really impressive, but it is also tasty! In Thailand, children eat them just like candy. 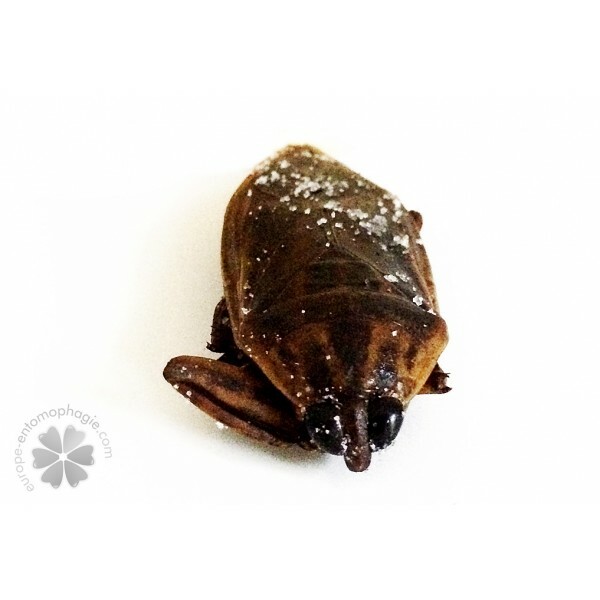 The water bug is a natural, healthy and safe food. No worries! For the sweet tooth, you can even make desserts with those. They taste great with hot melted chocolate, but you can also cook them for main dishes. Giant water bugs will bring a new taste and textures. Insect farming is much less polluting and more water efficient than any other type of agricultural activity. It also needs less energy. In addition, these critters require very little care as opposed to large animals. 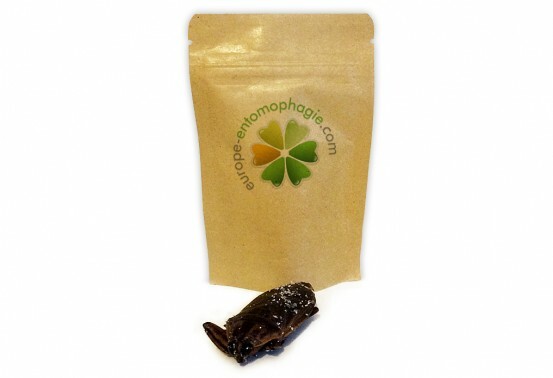 Eating insects could help feed an increasing human population while preserving the environment. In the future, we will probably eat less meat and compensate the decrease in animal protein intake by developing the consumption of edible bugs.